Anybody else notice the profusion of orange, diamond shaped signs that read “Guardrail Damage Ahead” springing up all over the state? Anybody else notice the profusion of distracted drivers springing up all over the state? Do you think there might be a correlation? According to TXDOT, there were 100,825 distracted driving caused crashes in the state of Texas in 2014. That’s a fraction over 276 crashes due to distracted driving every DAY. Heck, Texas only has 254 counties, and some of them have almost nobody in them, but if you spread these 276 DAILY crashes equally over Texas, then it gets even more ridiculous. 3214 of those crashes resulted in serious injury, 468 resulted in death. Last month was National Distracted Driving Awareness Month and the ramped up ad campaigns continue to remind us to arrive alive, to talk and text later, as well as publish handy statistics like I used at the beginning of this blog. I don’t think the problem is awareness though. 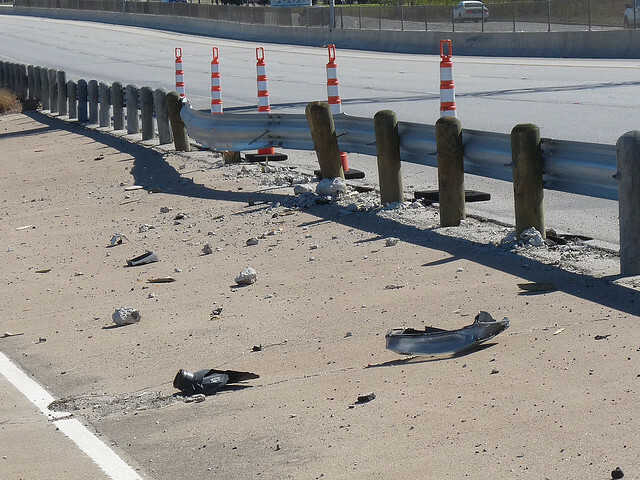 How can we miss the fact that the leading edges of a large proportion of guardrails are damaged? How can we miss the fact that guardrails themselves are springing up near every creek or drainage crossing? How can we miss all those poignant lists of final texts before the crash that are scattered about social media? I think the problem is one of feeling like it can never happen to us, because we’re the kings/queens of multitasking. Fact is though, busted guardrails don’t lie. Do that road crew a favor. Help them have a slow day. Keep your phone in your pocket and your eyes on the road.